The journey of Ordinary Time has kicked off! The 1st Sunday after Pentecost / The 1st Sunday of Ordinary Time is Trinity Sunday! Maybe you spent some time talking about that in your church on Sunday, maybe not. We'll be spending the week in the Ordinary Time book pondering the Trinity and you can also follow along on the Ordinary Time Web Guide with a bit of that conversation. But as I do from time to time on this blog, I shared some tunes today over on the web guide. Thought I would share them here as well. Well today is a music Monday! And to make it even more awesome, the music is FREE! If you aren’t familiar with Noisetrade, now you are and you’re welcome! It’s a site of legally free music! You can tip the band for their tunes (which is always nice to do) but really all they ask is that you spread the word. Pretty easy! 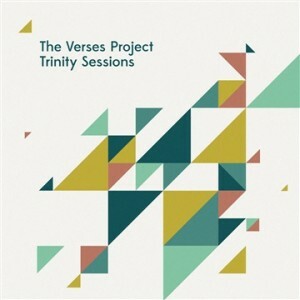 The Verses Project has a few pretty good albums out and one of them happens to be devoted to verses (Bible verses that is) that are Trinitarian in nature.